1. Available now is Revell's new version of the EH101 Merlin HM.1, #4410 (originally released by Italeri as the 'HAS.1' #1219, (HKN #138). The revisions go a long way towards correcting the shortcomings of the original model (though at a price). It now has a good looking winch, port side forward window, weapons carriers, torpedoes, external 'stick on' sonar well and sonarbouy dispenser chutes, improved nose ECM sensors, port side avionics cooling vent, correct HF aerial and additional aerials. 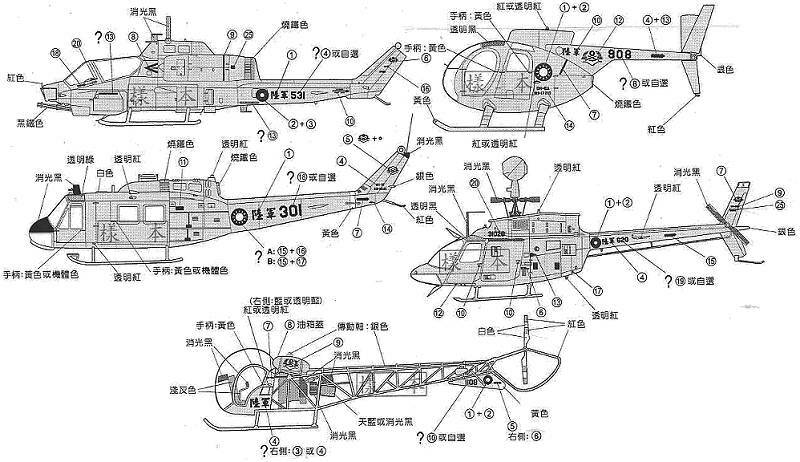 What still hasn't been fixed is that the tail rotor is still a one-piece unit with both blade pairs in a single plane, and the main rotor blade root fairings are still missing although they are clearly there on the box art and on the painting/decaling line drawings. Although we now know that the Navy have tired of replacing these when they go AWOL in flight, this omission is still annoying. ZH860/ 269 / R, 814 NAS, Ark Royal, Feb-03. This has the low-visibility grey tiger-stripes that first appeared at the Culdrose airshow in 2002. ZH848 / 388 / LA, 824 NAS, Culdrose, Jan-03. LA is the tail code for HMS Lancaster, F229, the first Royal Navy frigate or destroyer to deploy with the Merlin (replacing the Lynx HMA.8). She sailed from Portsmouth in early July to take up duties as the Royal Navy's Falkland Islands patrol ship, and is due home shortly before Christmas. 2. 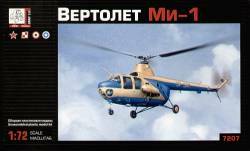 Gran's Mi-1 (HKN #146 & 149) is now available in boxed form (it has been around for over a year as bagged 'pre-release' examples). The roundels on the box suggest that the decal sheet has not changed, representing aircraft from USSR, Poland, Egypt & Finland. 3. 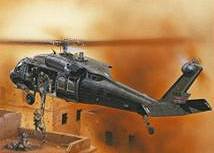 Italeri have released their 1:35 UH-60A/L Blackhawk #6430. 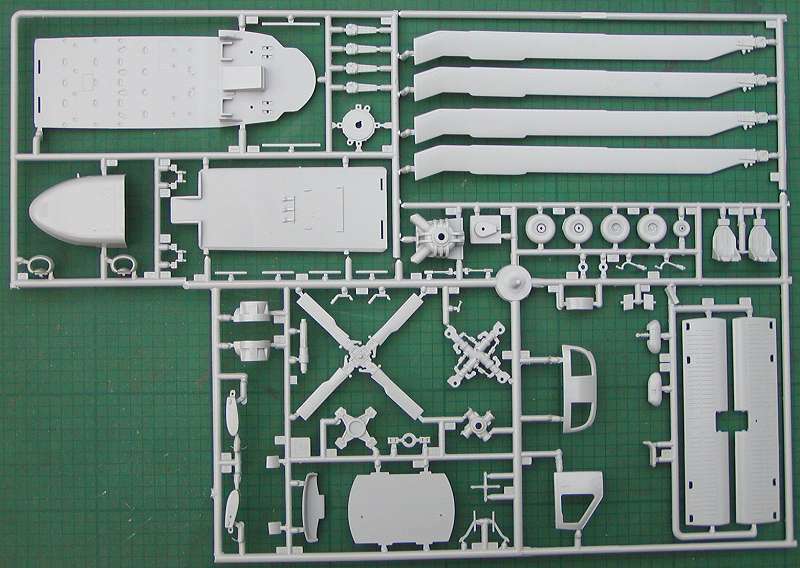 As with Italeri's other 1:35 helicopter kits of recent years, this is believed to be the Academy/MRC mould re-boxed. The box art appears to show a dramatic action scene from the roof-tops of Mogadishu. 5. The new resin Sikorsky R6/Hoverfly II from Czechmaster will be an all new moulding that has been made using Sikorsky factory drawings and archive photos, Randy Smith's museum walkaround, and the Air Britain book 'Hoverfly Files' by Eric Myall. 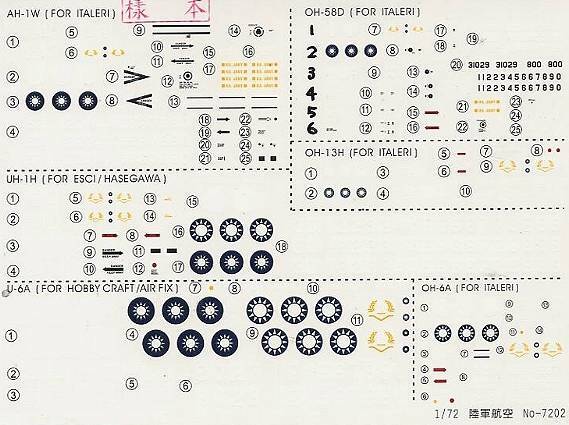 I'm told that recent Czechmaster Resin kits have featured high quality thin-wall castings and excellent decals, so this should be something to watch out for. 6. 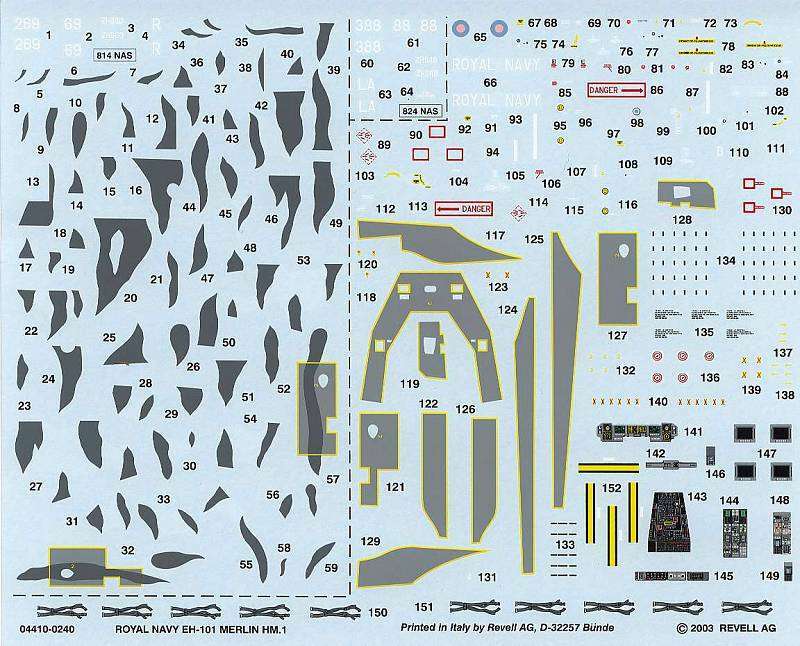 Special Hobby may re-issue the 1:48 Sikorsky R4 with new floats, and MPM may likewise be issuing an improved version of their 1:72 R4. 7. A source writing in the Yahoo! Group ACWalk has hinted at interesting developments at Heller, including a suggestion of a reworked and updated 1:35 Super Frelon some time in 2004. 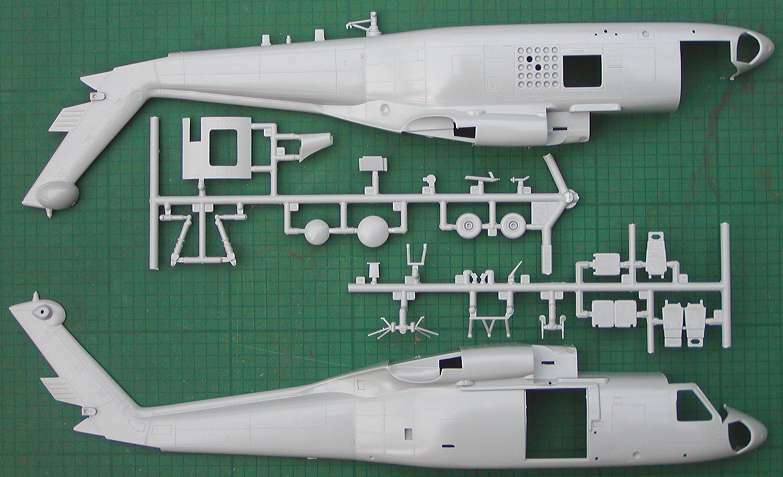 In addition, Whirlybird have announced that they have acquired the rights to the entire Maintrack Models catalogue of kits and conversion sets. Moulds are in the process of being thoroughly reworked and retooled. 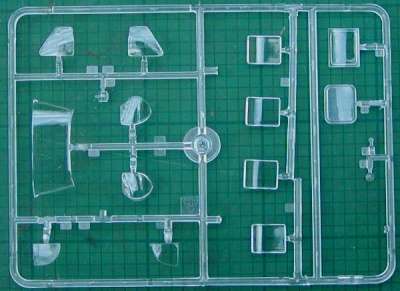 When reissued by Whirlybird (under the brand name Whirlykits), kits previously released as vacform models will now be cast in resin. 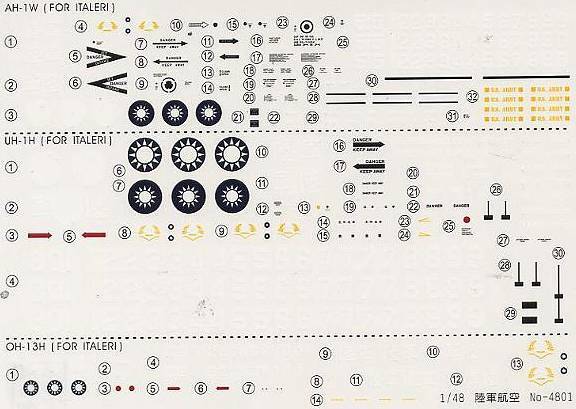 It is planned that the first batch of retooled kits will be released in late November (in time for Scale Modelworld 2003). In North America these kits will be available exclusively from Linden Hill Imports (of Kitchener, Moscow, New York & Rotherham). 9. 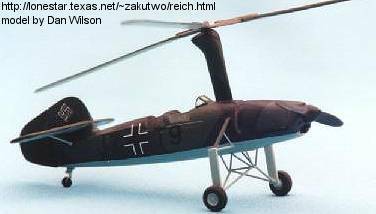 HiPM (Historic Plastic Models) will be releasing a 1:48 Focke Wulf Fw-56 'Stosser'. This will be of interest to anyone thinking of building their own Fw-186 autogyro. An article describing this conversion in 1:72 appeared at Modeling Madness a while ago. All of these are for the 1:35 Kangnam (also known as Academy, Arii and Imex) kit. 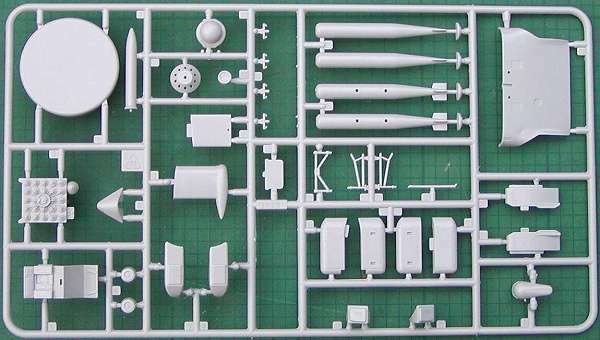 Note that Eduard have chosen to use the '32' code for 1:35 scale aircraft, while their '35' codes are used for AFV sets, so if you see these sets listed as being for 1:32 scale kits, don't be confused. 11. 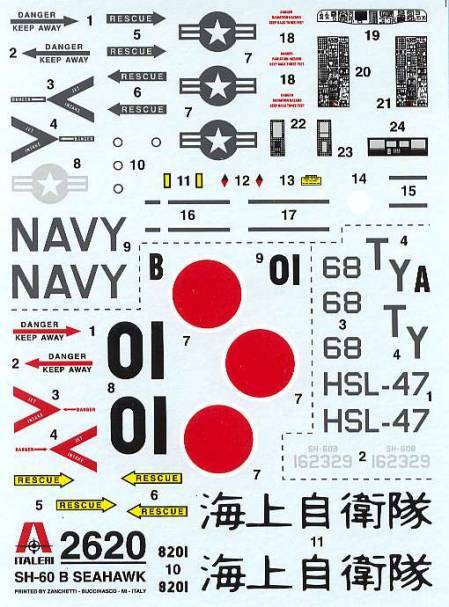 Cobra Company's UH-1B backdate set #35008 (HKN #169) for the 1:35 Academy/MRC (& Italeri) UH-1C was released last week, meantime their sets for the 1:48 Seahawk are still on track, and there are still some of the Seahawk 'Samurai' decal sheets left; remember that this limited run will not be repeated once it is sold out! 12. 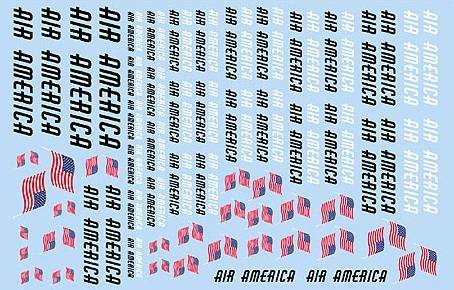 Mike Grant is selling a sheet of Air America decals, #NS-034. This comprises Air America titles in black and white, and correctly handed US flags in a variety of sizes suitable for different scales. Their next product will be 1:72 RoC Army CH-47SD and Airborne Fire Department BV-234 Chinooks in Mid-August. Another review site says these are thin, excellent registry, sealed with a protection layer, highly accurate, with no excessive decal borders you need to trim. These should be ready to go to the printer about now. 17. 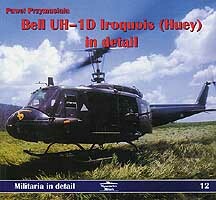 A UH-1D Huey book has been published recently, #12 in the Militaria In Detail line from Poland. Bell UH-1D Iroquois (Huey) in Detail is by Pawel Przymusiala, and contains a set of up-close-and-personal detailed photographs of a selection of Luftwaffe and Heer machines plus two civil fire suppression aircraft which will be extremely useful for the modeller. 1:72 scale drawings complement the 125 colour photos. 48 pages. Softback. Thanks to Roger Marriott, Guy Holdroyd (Linden Hill Imports), Geordie, Carrey Knight, Chris (FFSMC) ), Paul Inguanti, Tony Morgan and Grant Matthews.